Since these types of questions can sometimes get lost in the comments section of my posts, I thought I’d pose Jane’s query to my private Facebook group. I knew the group would have many wonderful tips to offer, as there is a wealth of knowledge there. This post represents a consolidation of the group’s top tips for cultivating a workable wardrobe (also check out this two-part series on the blog from back in 2014: Part One | Part Two). Back in 2014, I decided to invest in two virtual styling sessions with Bridgette Raes. These sessions and the follow-on work I did based upon Bridgette’s advice really helped me to define my style. 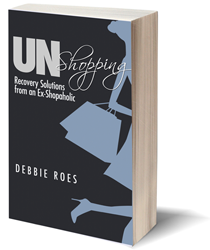 This enabled me to let go of items that weren’t working for me and led me to make better choices when I shopped. Around the same time as my sessions with Bridgette, I started keeping an outfit journal in which I listed what I wore, where I wore it, my feelings about what I was wearing, and any changes I would make to the ensemble moving forward. This helped me to identify both positive and negative patterns with my outfits and highlighted closet needs, as well as areas of wardrobe saturation. Last month, I shared a recap of how my style has shifted in my two years of maintaining my outfit journal. Last year, I took on a wardrobe challenge to wear what I loved and own the right types of clothing, shoes, and accessories for my actual life, as opposed to an imagined, wished for, or past lifestyle. I did that by creating a “working closet” to which I moved all items as I wore them. Anything that was uncomfortable, fussy, or no longer in line with my personal style was passed along for donation or consignment. 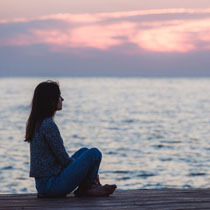 This challenge not only facilitated my letting go of pieces that didn’t work for me, it also helped me to better define my shopping needs and make more appropriate purchases. You can read my “wrap-up” post on my clothes, shoes, and accessories HERE and HERE. I’m still not exactly where I want to be with my wardrobe, but the three tools above advanced my progress exponentially and I strongly recommend them to you. Keeping an outfit journal and doing the LIWI challenge are free (I also recommend Project 333 – see why here) and take just minutes each day to do. Working with a talented professional stylist such as Bridgette Raes is not as pricey as you might think and is well worth the expense (she occasionally has specials, too). Online style courses can also be helpful, such as Bridgette’s “Why Dress for Success Doesn’t Work” and the two great offerings from 40+ Style. I did my best to organize the feedback from the group so that it will be easy for you to read and absorb their words of wisdom. A few common themes came up again and again in the tips the group shared, but there were also some stand-alone suggestions that were equally as valuable. I hope that by consolidating these top tools for cultivating a workable wardrobe, you’ll be able to benefit from them on an ongoing basis. This is the type of post to bookmark and come back to again and again! Choosing a color palette helps when buying clothes and with mixing and matching. Finding the colors that look good on me has helped me a lot. I’m still working on this one because I haven’t had anything professionally done. So many local stores cater to a college or younger crowd, so choices are limited even if I can find the right color. I definitely feel that it’s hard to find the right colors online, though, as colors vary by computer screen, unless you already know what the color looks like. I found my “happy color” and owned it (for this woman, that color is pink and she looks fabulous in it every time!). I have decided to stick to neutrals for bottom pieces. I worked with a stylist and did lots of rumination to figure out what my authentic style would look like. I had a brief session with a personal stylist. It gave me some clues about my colors and fits. It’s not been decisive so far, but I admit it has proven to be really helpful for shopping (less) and purging (more). Defining one’s style is an obvious #1, but I found defining what I will NOT wear was just as important – e.g., saying I will not wear anything body-con, super short, peplum, boho/Coachella inspired, with a ruffled neckline, or from most “fast fashion” brands eliminates a huge amount of clothes out there. Knowing my body type, which is petite pear, and how to dress that body type, has helped a lot. As an example, I wear dark pants and skirts in order to minimize my pear shape and I don’t wear horizontal stripes on my pants or skirts. I also have a short neck, so high necklines are not flattering, but scoop-necks and V-necks look good on me. I track my wears and highlight the things I rarely or never wore. I track my outfits in StyleBook. It has been very eye-opening to see how little or much I wear things. I keep a running list of everything I buy, and then evaluate that list every few months. That has really highlighted how much of my shopping is a waste of money. I keep a list of all of my clothing purchases each year and note which were successful and which weren’t and why. Doing a closet inventory has been so helpful to see my amounts of each type of item. I have far too many sleeveless tops and not enough bottoms. My clothing inventory was by far the most useful tool I have employed to tame my own closet chaos. The inventory is the starting point for so many other tools and exercises. My inventory revealed to me – in black and white – where I over-buy (scarves) and under-buy (pants). The inventory prompted me to put together different outfit combinations and from that exercise, I realized just how many orphans my closet contained. When I color-coded my inventory based on fit, I could see the percentage of aspirational (meaning smaller size) clothing in my wardrobe. I flagged items on my inventory that were rarely worn and planned outfits for them. From that exercise, I discovered many hidden gems and a few discards. I altered my categories on my inventory to get a better sense of work vs. play and summer vs. winter. From my inventory, I decided which categories mattered to me for tracking purposes and which did not. It’s funny to me how I postponed the inventory for months because it seemed daunting, but in the end, I realize it was where I should have started. I have stopped buying random piles of things that attract me and started focusing on true wardrobe needs instead. I no longer buy random stuff on sale. I now only buying clothes for my real life, not my fantasy life. I started making a list of things I’d like to buy to refine my wardrobe and sticking to it. Avoiding purchases at stores where a high number of my purchases have not been successful. I almost never buy clothes at certain stores anymore, because I had a tendency to snap up not-great items when the prices were good. But then the item wouldn’t fit well or might not hold up well, so I ended up wasting money instead of saving it. I make sure that any separate item I buy goes with at least two items I already own. I started buying less. Bringing fewer items in was very important, but it also helped me to use everything I already had and to see more clearly what I really like and use! Buying less has helped, funnily enough, because that way I’m more focused on what I bring in. If I think about it more carefully, I commit fewer mistakes. I use the “power pause.” It really has power! I started identifying and avoiding triggers and temptation. I started returning mistakes and “make-dos” (things that I was settling for or were “placeholders”). I realized how to learn and grow from mistake purchases. I increased my awareness when it came to online shopping. I came to understand that the colors on my monitor had no connection with the reality of the color once the online purchase arrived. I also came to understand that the measurement by size on a website may or may not have a connection to reality. These two things have put an end to my buying online unless I have seen the item in a store, judged its color by my color cards , and determined if I needed a size up or down. I’m done with the endless returns game. I’m finding it easier to get dressed and like what I’m wearing now that I own less. I’ve become comfortable with having a super small wardrobe and only seeking out those items I need. For example, I only own four pairs of work pants because I don’t need more than that. I will definitely replace one when it wears out, but I don’t go looking for pants when I don’t need them. This mentality is new in the last few years, I might add. I use a bin to store possible purges. I get very emotionally attached, so it helps me break the bond (this is an example of a “hidden holding zone”). I wear what makes me happy and not necessarily what is expected or what everyone else is wearing. I learned to purge without guilt those things I didn’t love or didn’t work for me. This includes gifts from loved ones, things that were either too small or too big for me, or “fantasy outfits” (for a lifestyle I don’t have). I started wearing what I loved and seeing what was left. I made a commitment to wear everything I own at least once. This has really helped me to move things on. When something wears out, I wait a month before replacing it and try to instead use something I already own. I got in touch with how much laundry I am willing to do. I said no to having to do laundry every weekend, but I’m okay with laundry every two weeks. I did something like LIWI, I guess. I’ve started to wear clothes that were “on the fence.” If I’m not happy with an item or am looking forward to coming back home to take it off for some reason, I purge it or perhaps give it one (really, only one!) more chance. I also started embracing the idea of loving what stays, instead of regretting what leaves my closet, when purging. I learned what “splitting one’s wears” means. I gained the willpower to work through the “maybes” in my closet and let them go. That means actually wearing the clothes about which I felt the most conflicted. Most of the time, I found my answer within a few minutes of wearing the garment. I took on many little wardrobe challenges, such as wearing a sweater each day, etc. I use going grocery shopping as a test for items I’m unsure about keeping. If I hate it by the time I get home, it’s gone. Joining this group. The group is the source where I’m learning every tool that I could name in a list. For me, a motivating factor was reading lots of books about clothing and clearing out what isn’t being used. Some were good books and some weren’t, but to some degree, they at least put me in the right frame of mind to actually do something. It will take time to get to the point you are able to let go. It has taken me years and I’m still not ready to let some items go, even though I’m not that comfortable in them. I’m working on it… I almost think that for me, time is the biggest factor of all. I just had to be ready. I must say that all of these tools converge in something I’ve started actively practicing this year: Consciousness. I’m learning to hear my own feelings and voices, look at them as they are, and accept them with neither judgments nor rejection. This conscious thinking and all of the tools I’ve learned strengthen each other and work together. I hope you enjoyed reading all of these tips from the Facebook group members. I’m sure you found at least a few in the mix that can help you to cultivate a more workable wardrobe. If you have any tips to add, I invite you to share them with me and your fellow readers. The more the merrier! We can learn a lot from each other that will help us to shop smarter, better manage our wardrobes, and hone a personal style that is both flattering and inspiring to us. I look forward to reading your additional insights on this very important subject! This entry was posted in Personal Style, Shopping Tips, Wardrobe Management. Bookmark the permalink. Hi Debbie. What a wonderful post. Lots of useful gems! I now have a carefully curated wardrobe. I resist impulse buys and concentrate on wardrobe gaps only. As mentioned above by tracking I identified which shops to avoid as there was a definite link between re-sale shops and supermarkets and the constant culling. Having a very small wardrobe of items I love to wear means I did need to re-purpose some of my dressier items. I’ve removed Spanx slips from fitted dresses to make tunics to wear with leggings and even removed sleeves on 3/4 tops to make more casual tops to wear around the home. I finally feel like I control my shopping rather than it controlling me. (I’m talking clothes here not shoes & handbags, which I still need to work on). I also accept that as I refine my style it is inevitable that considered clothing purchases are necessary as I evolve. I’m glad you liked these tips, Sharon! Thanks for sharing some of your own. I love how you have been able to re-purpose dressier items for your new more casual lifestyle. How wonderful that you are now controlling your shopping rather than the other way around! As for the shoes and handbags, those areas will come in line in time if you keep working on things. There are so many great tips here. I am in the process of a mid-season mini purge of my closet these last two days and the it has been really helpful to ask myself “would I buy this again” and to get real about my actual lifestyle. I am learning to just appreciate the styles that I am attracted to but that don’t fit into my life anymore. I put several “maybe” items on a rolling rack yesterday and this morning they ended up in the donate pile to begin their new life! The best tip for anyone might just be reading this comprehensive post. For me, what originally helped was blitzing ruthlessly all at once all that didn’t work. That was long ago. If you can stand it, this is the quickest and surest way t o begin again and like what you own. I did same with household stuff before a move that required downsizing. Now I just do one-in, one-out. I remain at 42 items total, using 333 rules. Thank you for some excellent reading,Debbie. I’m glad you feel this post would be the best tip, Helen! That’s why I put it together, so that readers can access the wisdom of many people at a glance. It’s great that you were able to be ruthless with your wardrobe and keep it down to a small size. Doing one-in, one-out can be a good way to do that. You are a true wardrobe minimalist! I don’t know if I could even get down to 42 items, but I still think 100 is a target for me that is doable. Good to see you posting here, Cornelia, and I’m glad you liked this post! Thanks for adding your tips about outlet malls and sales. I agree that they can be especially problematic. I like how you put it: “the high cost of saving.” I think it’s common to lower our standards when the prices are low. Spending more usually causes us to have to think things through more deeply, but yes, it requires an attitude adjustment. Good tip about using Pinterest, Renee. I can see how it would be very helpful. Yes, it can be all too easy to keep buying the same types of things over and over again. Good for you for recognizing your patterns and turning them around – and for now having a more cohesive wardrobe and a larger bank account! Your Love It Wear It challenge really helped me to break the emotional attachment to clothes I wasn’t wearing. Even doing KonMari was too difficult because when I did it, nothing was really sparking any joy. But by having the unworn items in a separate part of my closet, and just reaching for what I wanted to wear, it meant that I didn’t see the also-rans every day (even though I did make an effort to go and rummage through the items every now and then when I was looking for something to wear). Somehow that helped break the connection. That and the knowledge that I just wasn’t reaching for them at all. Then I did a big purge and felt SO much better. Now I have a small wardrobe that I mostly love but perhaps still have too many cardigans! Lately I’ve been replacing clean clothes to the left side of my closet sections, so all the unworn items migrate to the right. [With drawers I am folding and placing things on their sides a la Marie Kondo, and placing clean items at the back so unworn items migrate to the front.] If I bring a new item in, I “have” to rummage in the unworn items and get rid of something, and preferably two tings. I’m so glad that LIWI was helpful for you, Sarah! Yes, sometimes “sparks joy” doesn’t work for some people. It’s good that you were actually able to move your clothes to another closet. I didn’t have the space to do that, so I had to improvise by dividing my closet into the “working” and “staging” sections. It still worked, though. I have read about others moving their clean clothes to the left side of the closet and how that helps them to see what has and hasn’t been worn. I hadn’t read about doing that by section, though, which I think would be more doable for me (I like to have my clothes organized by type). It’s good you are doing one in and one (or two) out, too. Sounds like you’re doing great! Hi Debbie, thanks for posting that question to the group! Wow, tons of great tips. Debbie, I knew your LIWI challenge and outfit journals were very useful to you, but I guess I missed the post on your two virtual styling sessions with Bridgette Raes. I didn’t realize it was so useful to you, very interesting. I may have to check out her services at some point. The top three things for me were Pinterest to help me find pictures of things I thought were cool, the capsule wardrobe planner on the Unfancy blog (I love that free little planner), and this blog which led me to a bunch of very interesting topics. Thank you for asking the question, Jane, as a lot of good came out of it! My sessions with Bridgette were from before you started reading the blog, I think. I only recently created a new category for them because I mentioned them from time to time. She was very helpful and I was amazed at how much I got out of a short period of time. I’m glad my blog is among your three much helpful tools 🙂 I will have to try the capsule wardrobe planner and use Pinterest more often. Fantastic post! Super extensive and specific and very helpful tips. Like Helen, I find doing a big purge and getting rid of all the items I didn’t wear was the most effective method for me. For years I was hovering around 100-110 items and had a lot of items I didn’t wear. I kept thinking I didn’t have the ‘right items’ and kept on purging and buying different things to try but the problem remained. I did this for 6 years in a row! I realized my biggest problem was dividing my wardrobe into ‘going out’ clothes and ‘at home’ clothes and there was a big imbalance in these two catagories. I am a stay at home mom, my husband and I very rarely get to go out without the kids so I finally had to admit that the unworn half of my wardrobe was a reflection of a fantasy life. The question I asked myself when I was assessing my wardrobe last winter was NOT whether I loved it, because that was my problem – I loved everything! The proper question for me was “will I wear this from the time I get up until I am ready to change into my pyjamas?” This question helped me get rid of all of those pieces that I loved but never wore. Now, I love AND I wear everything – I only own pieces that is comfortable for all day wear, whether I stay at home or to go out in. Your comment was especially resonant for me, Wendy, as I also divide my clothes into “at home” and “going out.” I have mostly gotten rid of “fantasy life” items, but I do still hold back on wearing certain items all day and there isn’t a good reason for some of them. I like the question you asked yourself and I’m glad it helped you so much. You have come a long way from when you first started to comment here. 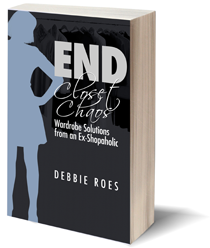 How wonderful that you now have a wardrobe you love and everything gets worn! The two tips I like best are the one about not buying things at the grocery store – Target in my case- and wearing outfits that mightbe on their way out to the grocery store to see if they should be kept, except that I wear them to church. Yes, those are really good tips, Ginger. I have long used short excursions are try-out times for “benchwarmers” I like that it gives me enough time to make a decision but not so much time that I feel like I’m going nuts wearing something all day if I’m uncomfortable. Your three tips sound a lot like mine, I started tracking my wardrobe years ago and have found it very helpful, and closet challenges have helped me refocus on what I use and what I do not. Since then, one I’ve recently added is to stick to my list, which often means when something in a store catches my eye, that I have to ignore it because it’s not on the list for that shopping trip. That’s a great tip, Lisa, and one I need to stick to more often myself. It helps to review the list before going to the stores (or visiting e-commerce sites) and to have it with us at all times. I try not to even pick something up if it’s not on my list, as research has shown that if we even so much as touch an item, we’re more likely to buy it!